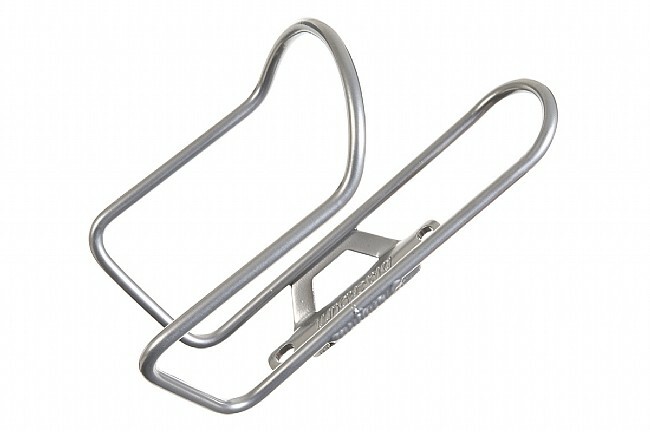 A great looking basic aluminum water bottle cage. Durable and economical. Various colors. Does what it's supposed to do. Holds your bottles firmly but the aluminum is bendable so you can adjust the cage, gently, to grip your bottle how you prefer. Use for urban trail (smooth) riding. Solid basic water cage. Holds water bottles well. Nuff said. Have both a black and red on my KHS Flite bike to match the logo and lettering scheme. Red is more of a crimson color which is very attractive. More of a comfort race bike, I wasn't concerned about the extra grams over carbon,especially now that I am aging. I did get my left pant leg caught on the one on the downtube several times pedaling, which bent it slightly, I bent it back and haven't had problems since. with this holder I can use can cozies to insulate my bottles, I can't with the light weight carbon ones. There's not much to be said about this cage other than to say it's well made, very simple, fairly light, holds bottles well, and is obscenely cheap. I put this on a fixed gear build and I'm very pleased with it. Best bottle cage for the price. I can't bring myself to spend more, and really, why would you? Best value of any cage I've used. I have tried many other cheap options (can't justify spending more than $10 on a fancy carbon or titanium cage, myself) and none are as reliable as this one. Should last you a long while. And a few color options to boot! What's not to like? Basic and functional. Right price. Why would anyone pay more than $10 for a bottle holder that's going to get banged up out in the woods? Surprisingly, it does NOT come with the mounting bolts. The cage is very lightweight and work fine. Just make sure that you have a couple of M6X20 bolts. This isn't the lightest bottle cage, but for the majority of riders this is a robust and affordable bottle cage that will hold your bottle in place. Not exactly cutting edge tech here guys. This water bottle cage is simple and works great. It was easy to install. This bottle cage is very light and I found nothing wrong with it. If you want to waste your money you can spend a lot more on gimmick bottle holders and get nothing better in performance. Put your money into high quality tires or high performance wheels and don't waste it on expensive, fancy looking bottle holders that offer nothing more than this product. light, strong, and functional. Great buy. Really like the color options. 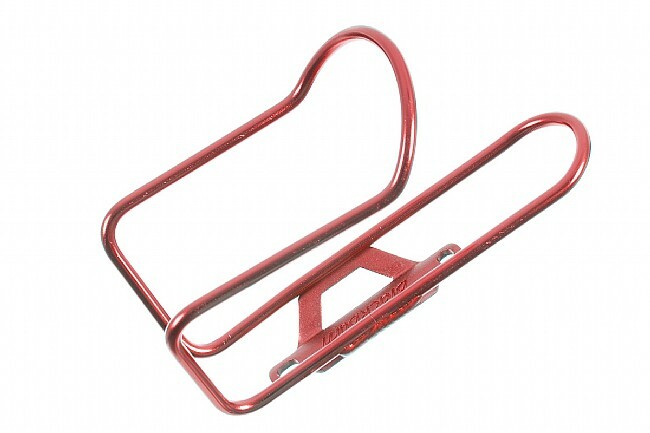 Got two red ones for our red tandem bike. These fit standard bottle holder mounts. So now my wife will have a place to hold her water bottles when we hit the trails. Nice, light and inexpensive. Well made. No need to think too hard about these - they fit your budget and they work.